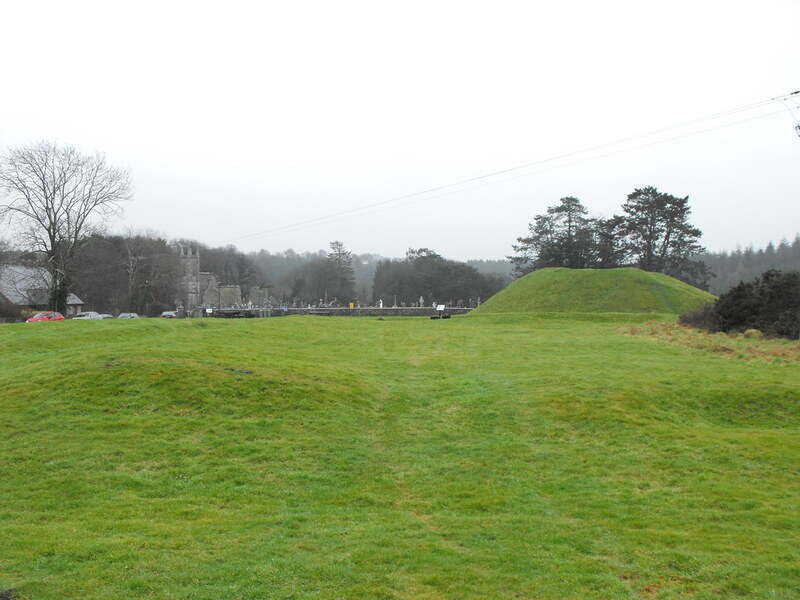 The Standing Stone: Motte and Bailey, St. Mullin's, Co. Carlow. 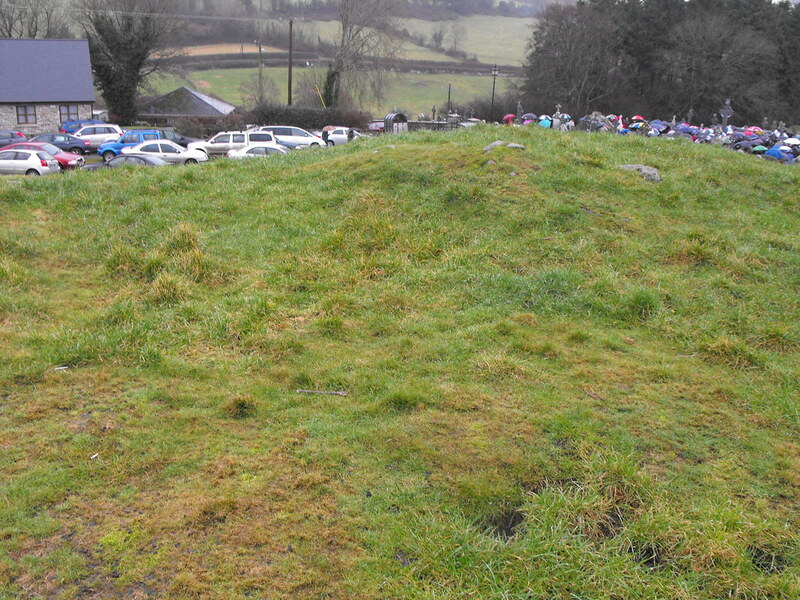 Motte and Bailey, St. Mullin's, Co. Carlow. Location – A little away from the main complex but clearly visible and next to the car-park. 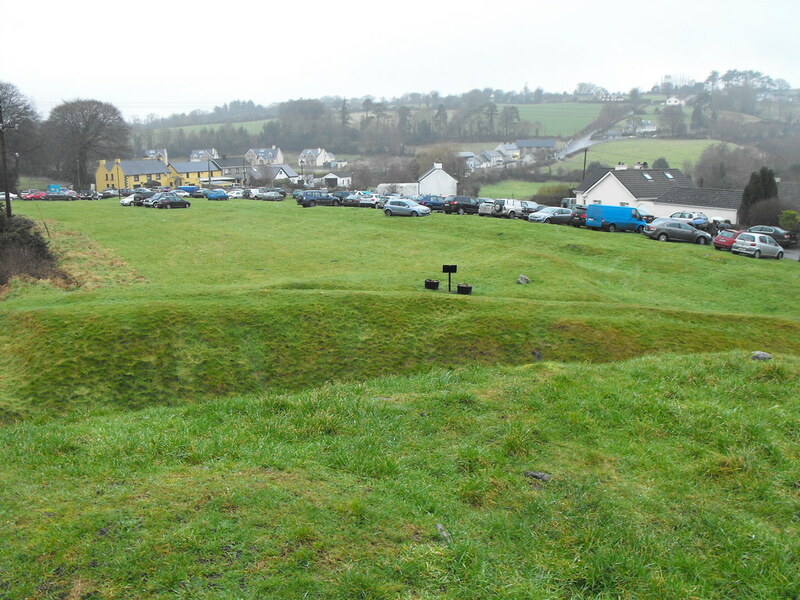 Description and History – This 12th century motte and bailey is in very good condition. 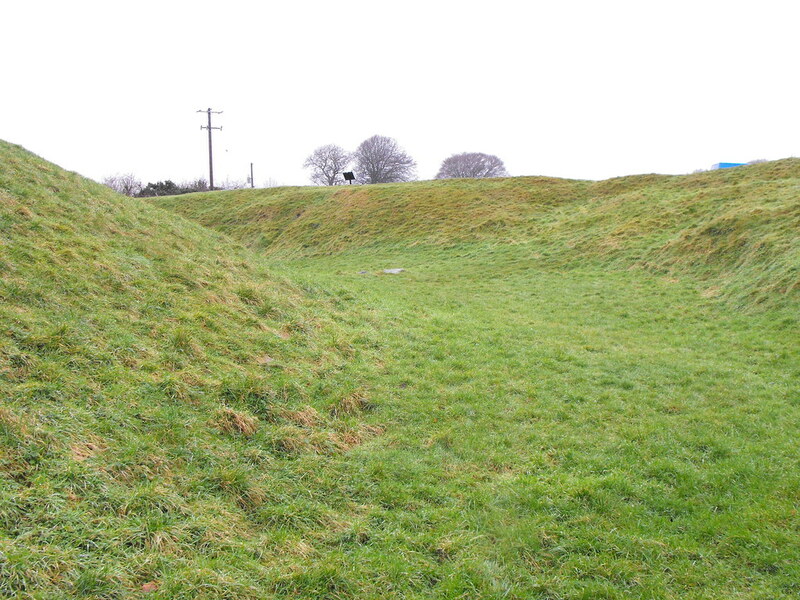 Most surviving motte and baileys are overgrown and hard to access. 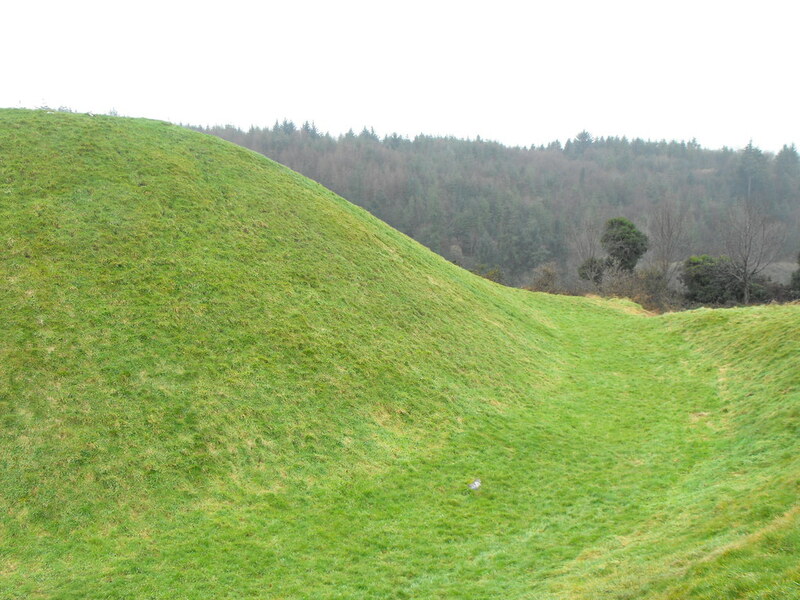 The motte is 40m in diameter and stands to a height of 9m. It is enclosed by a deep and wide fosse with an outer bank at portions still visible. 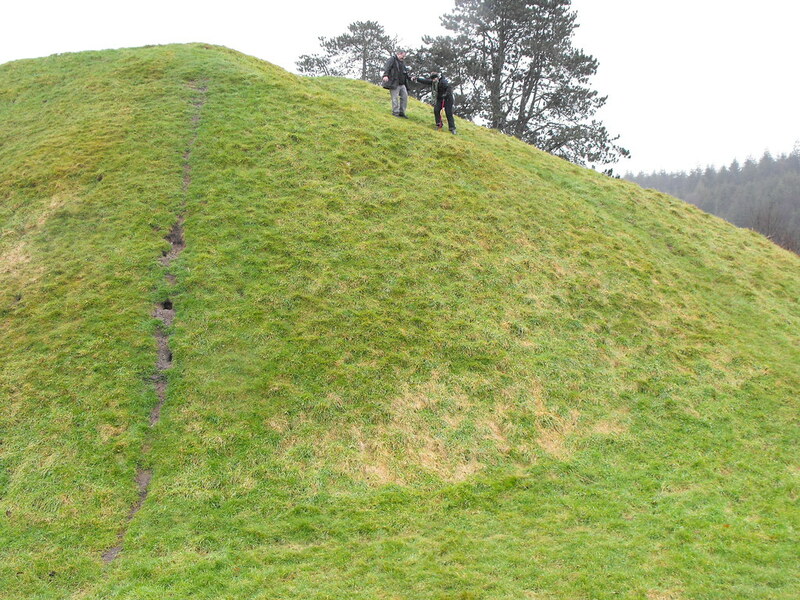 The bailey measured 24m x 46m and portions of the defining banks are still visible near the motte. 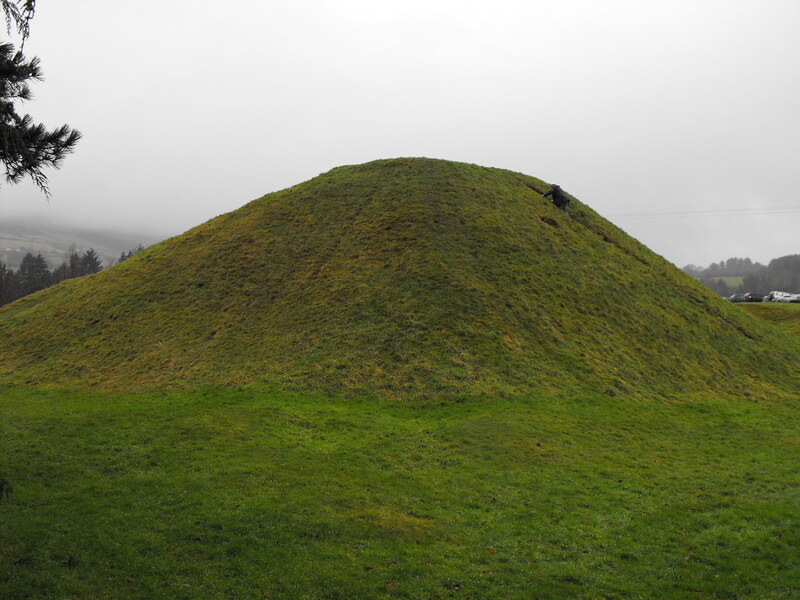 The base of a stone structure is still visible on the top of the motte which is unusual as mottes normally had wooden structures. Difficulty – East to find, a little tricky to climb. Back to the St. Mullin’s main menu. Seen from a distance with the main ecclesiastical site in the background. 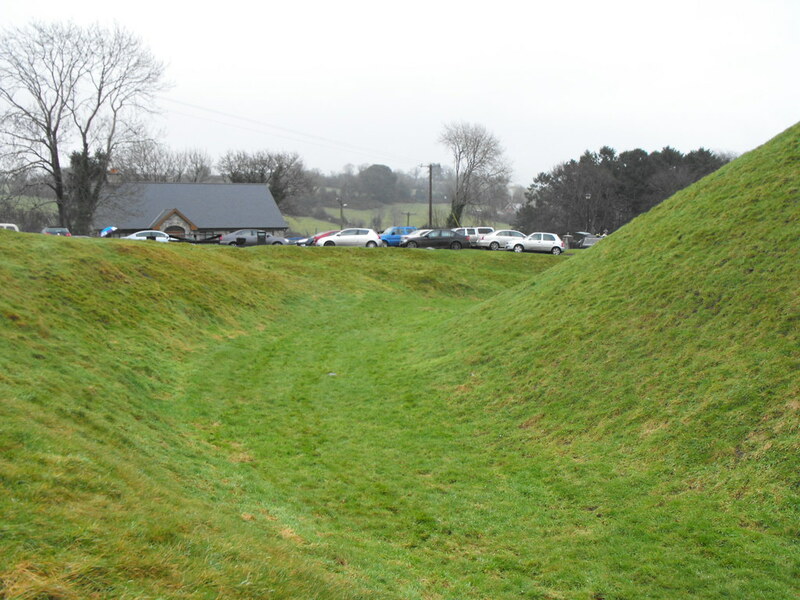 View of the defensive ditch from the top of the motte. 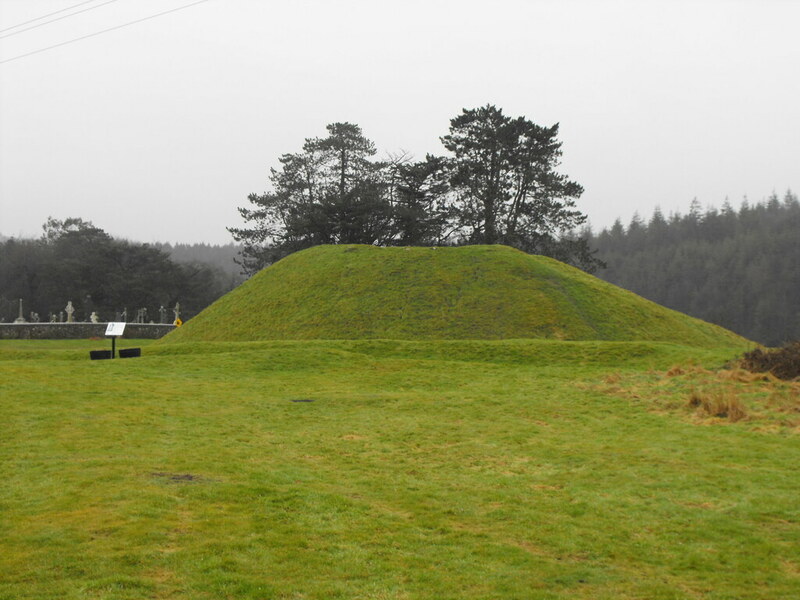 The top of the mound. Note the stones from the former structure.